Property rates is on fast track which is unable to track and today it became more difficult to buy a small or big space for living in Kolkata, Delhi, Mumbai, Pune and Bangalore. We can’t control the rate of property but we can definitely control on Interior designing work. If we plan better for your flat than you live comfortable in small space. 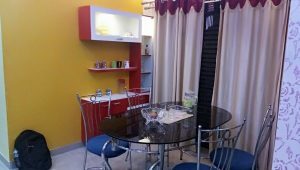 We are at “West Interiors” A leading Interior Designing company in Kolkata provides total solution for interior designing work. We always guide our customer to think high so you can achieve high. On interior designing track you may be had seen a flat having lots of space but space not utilize properly and it looks like unprofessional and other hand a small space flat having short space but it is very spacious and well-utilized space. So you need a better plan for designing your 1BHK, 2BHK, 3BHK or 4BHK flat. Last month we have done interior designing work for 1BHK flat in DumDum at Jesor Road. 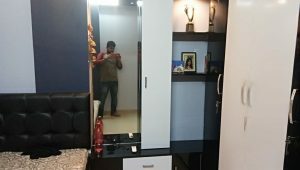 It was a 650 sq.ft area which was quite difficult to arrange everything at low budget but our we have done this job and our team plays the big role to finish it. How we done This Job? 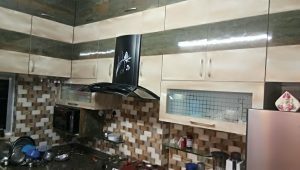 We visited their 1bhk Flat, inspected the area and understood the requirements of our client. 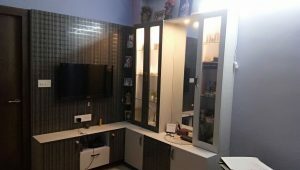 Budget always plays an important role for any interior designing work because every home owner a certain amount in their mind to be spent on flat buying and its decoration. Any way we finalize the project and took measurements & photographs to prepare the design. We draw plan 2D and 3D plan on paper and show it to clients. Initially client become confuse but get ready for start the work. We have done our job as per design than client come to check the work and become happy. We give a creative look to Modular Kitchen, Bedroom, Bathroom, False Ceiling and Living room. 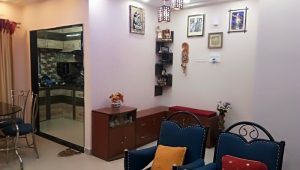 There are mingle of Interior designing company in Kolkata that you can find after Google on Internet but if you check portfolio of the company than except few company all are unprofessional. So always choose best for your home interior design.